January 30-31 is the weekend of the Big Garden Birdwatch when the RSPB urges us to spend an hour recording the birds we see in our gardens or parks. Full details at www.rspb.org.uk/birdwatch. Locally in recent years, robins have continued to be in evidence while other once-frequently seen garden birds have declined. The weekend brought colder weather than the record-breaking rain and mildness of December and January. In widespread supply, feeders have helped sustain garden birds on the occasional wintry days. Starlings seem to be as numerous as ever. Blackbirds (female above, male below) are in decline among songbirds. 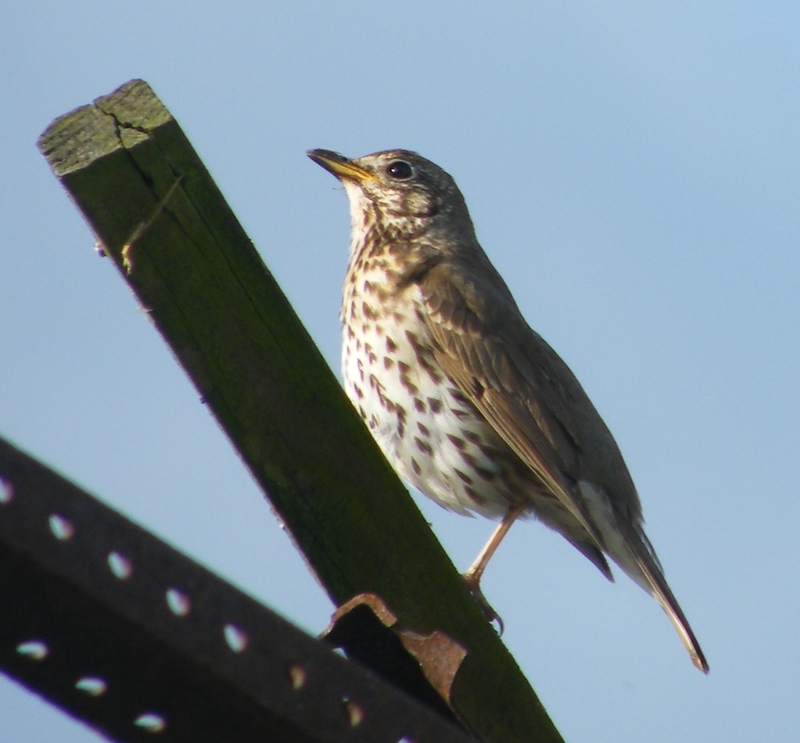 Thrushes have become a rarity in local gardens. Goldfinches provide a splendid dash of colour on overcast days. Chaffinches are also seldom seen in town gardens compared with years past.